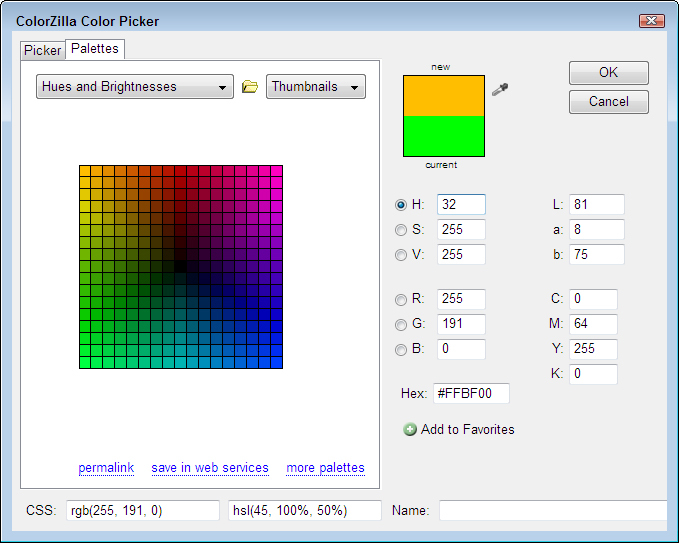 Using the Color Analyzer’s Picker tab to select a color for your CSS3 site will be too much work for many people. It’s a lot easier if the tool helps you choose a specific color. That’s where the Palettes tab comes into play. The .GPL files that hold the palette selections are actually written using a text editor. You can create your own palettes if you want to, using any of the existing .GPL files as a template. Click the Palettes Folder icon (the folder between the two drop-down lists) to gain access to the .GPL files on your system. 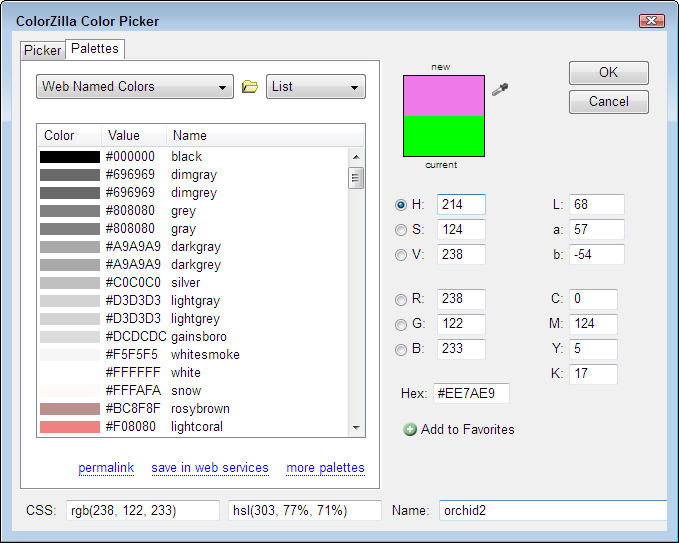 You can also create a list of personal favorites by clicking Add to Favorites whenever you see a color you like. The default display shows the colors as thumbnails. Selecting the List option shows the colors as a list that includes a larger color sample, hexadecimal value, and named value (when available). Here is a typical view of this display option. permalink: Shows the permanent link for the palette option you’ve selected. more palettes: Displays a wealth of other palettes you can download to your system and use.